I love nothing more then a delicious curry, and as it nearing the end of curry week, I decided to use my brand new Braun Multi Quick 3 Spice hand blender to help me cook a tasty curry. 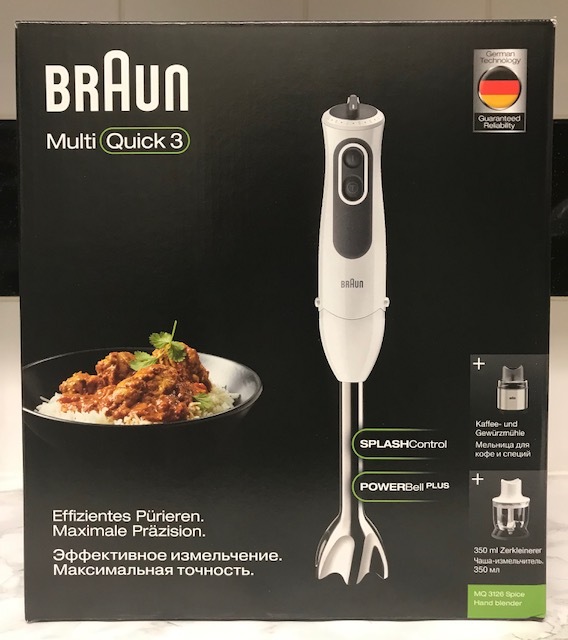 The Braun Multi Quick 3 has all of your cooking,blending and chopping needs in one hand held blender, not only does it come with a mini chopper it blends and mixes and purees and comes complete with a new metal grinding mill which is perfect for and grinding whole spices, chillies as well as coffee beans. 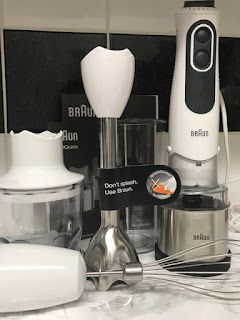 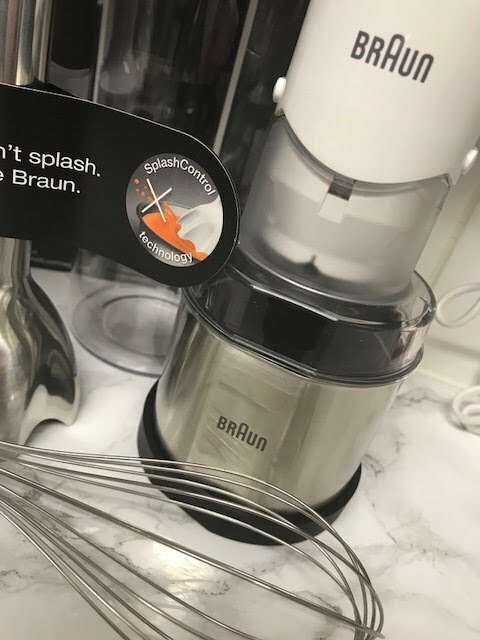 The Braun Multi Quick Hand Blender comes with 11 speed settings which allows you to adjust the speed and pulse, the double action stainless steel detachable blades allow you to cut vertically and horizontally, I love the Splash Control technology which ensures the unique design prevents splashing when in use. 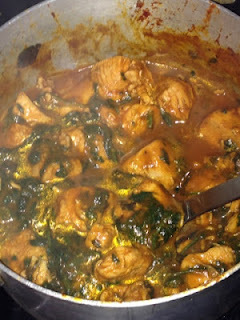 *Add 200/300mls of water, or enough so so that the chicken cooks in the water and spices, bring to the boil then reduce heat and cook on a low heat for 40 minutes to an hour. 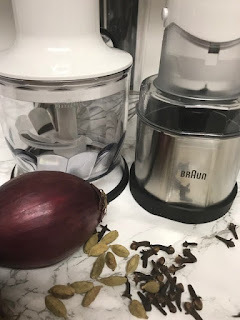 Garnish with fresh Coriander.